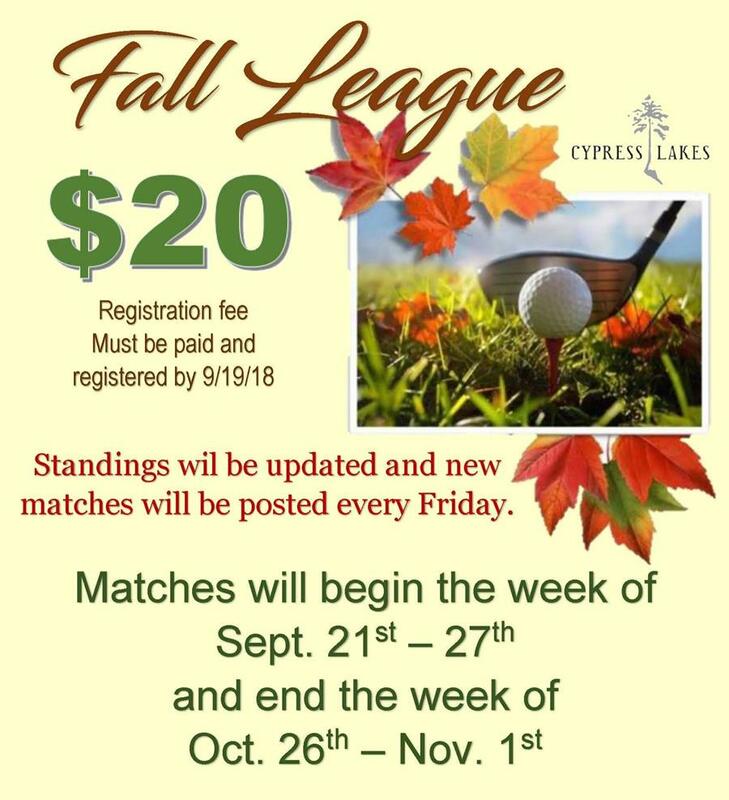 You must play your match and turn in your scorecard into League Scorecard Box by end of business Thursday each week. You are responsible for contacting your opponent, coordinating your match and making tee times each week. Please play your match each week and any unplayed matches will be handled and scored on a case by case basis by league administration. All matches will be 9 holes worth 9 points. 1 point for each hole won, ½ point for each hole tied. There will be flights for ALL levels of golfers. Once you are placed in your flight, there will be no handicaps used. All matches will be straight up. We will have a special (9 hole) league rate.